On weekdays, I was an English teacher in Korea. On the weekends, I was an explorer in a strange country. One of the things that intrigued me most was the Asian system of traditional medicine. I wasn’t interested in curing an illness, though. I was interested in supplements that make a fit person even stronger. I don’t trust big pharma, so as I browsed Seoul’s medicinal markets my goal was to go back to the source. I saw things such as dried seahorses and live hornet’s nests being sold as medicines. I tried out lots of things myself including roasted centipede, gastrodia(a plant that produces no chlorophyll and generates its food through symbiosis with fungal colonies), and mugwort a relative of nightshade that induces crazy, lucid dreams. It contains phyto-androgens unique to ginseng plants known as ginsenosides, organic compounds that boost testosterone and strengthen the immune system. Ginseng is one of just a few herbs that’s known for benefiting pretty much the entire body, an adaptogen. Better, it’s been used for thousands of years and in all that time, it’s never been associated with any of the devastating side effects that are commonplace with pharmaceuticals. In Korea I was able to buy up entire 6 year old ginseng roots and consume them straight. I loved the fiery rush and the extra resilience I’d get from consuming ginseng regularly and it became a part of my lifestyle. When I got back to the states, I found the actual roots were almost impossible to find. Ginseng was only available as overpriced pills and weak extracts that were often made with junk grade young roots or cut with cheap imposters such as eleuthero root. Most commonly ‘eyelid surgery’ to remove their Asian epicanthic fold. I would describe the texture as meaty, not bad. But they taste like wet wool. In Korea, it’s fairly typical to see street stands with woks full of these little guys. It smells somewhat like damp, scorching wool. I’m pretty open to trying new flavors, but this one didn’t make my list of favorites, sorry to say. 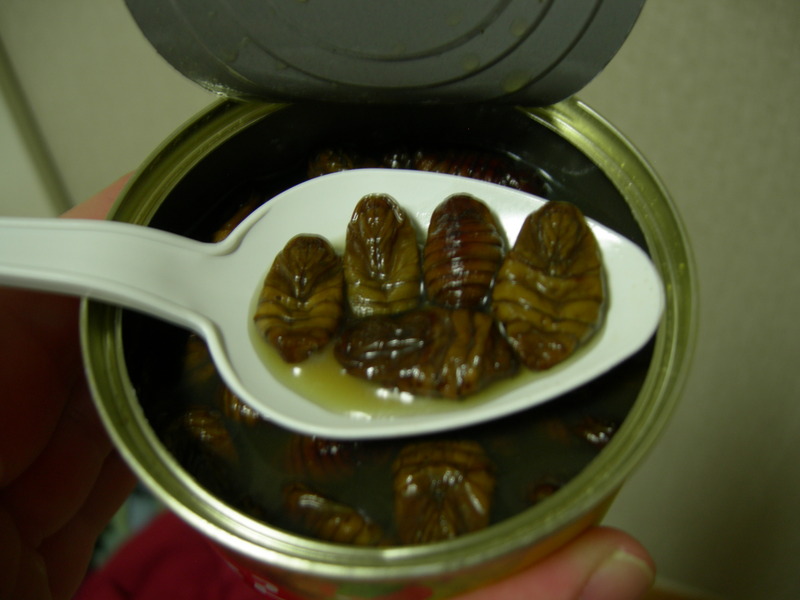 I imagine that these cooked pupae were a byproduct of the silk-making process and gradually grew on people who didn’t have a whole lot of foods to choose from. 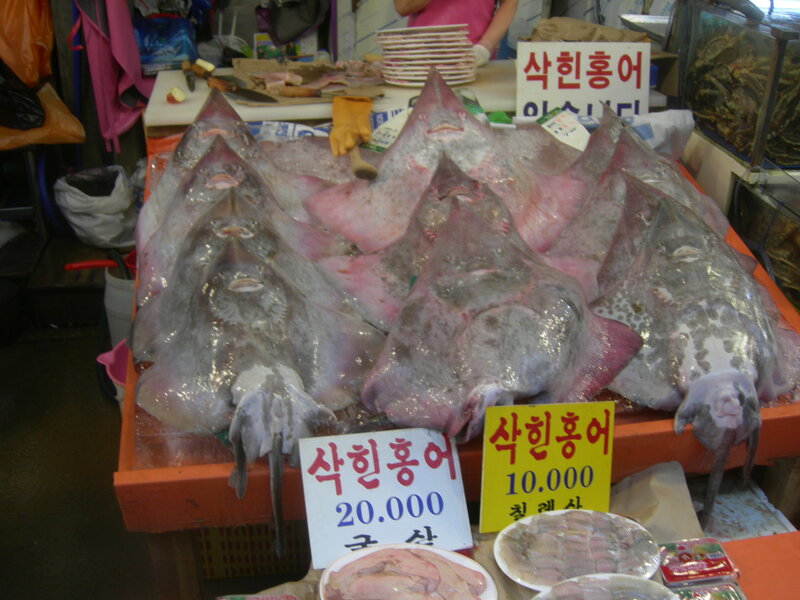 A few years ago, I went to the Noryangjin fish market in Seoul. There, you buy your seafood fresh off the boat, live in many cases, and the restaurants right there in the market prepare/serve you up whatever it is you bought. What does stingray/skate taste like? The taste is like the feral, peppery musk of some wild animal’s territorial marking. So much so, it burns in the mouth and wafts into the sinuses. The strange thing is that it actually gave my stomach a soothing, clean, prickly feeling as I ate it. Nevertheless, it would have been hard to eat without a bottle of raspberry wine to wash it all down. The Koreans do berry wines wonderfully; I have a special soft spot for them. Most of the Western versions and liqueurs are nauseatingly sweet. 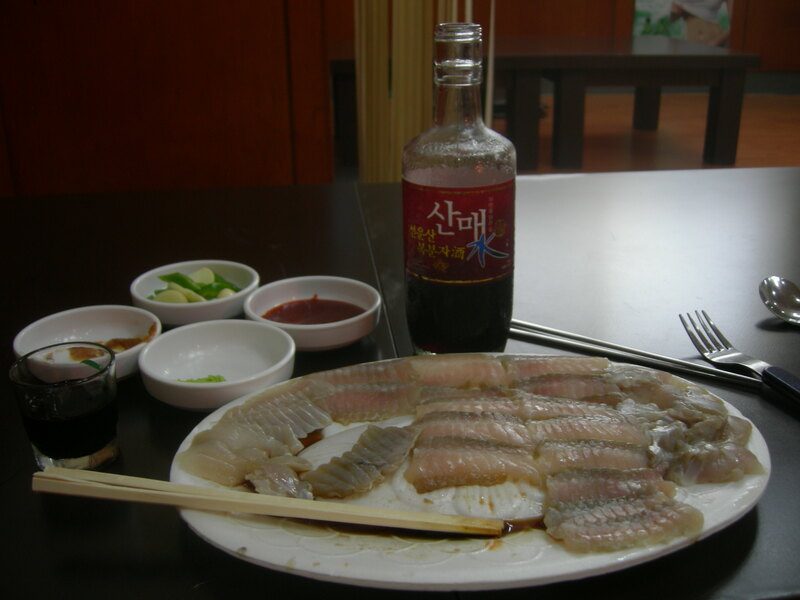 The raspberry wine, Bokbunja, is only slightly sweeter than some sweeter red wines. The sweetness is actually balanced. The best part: you can order Bokbunja in lots of Korean restaurants in the states and it costs the same as the regular beer or soju. If you’re a weiguk, just be prepared for the waiter’s jaw to drop when you ask for it by name. The abalone was served up just barely seared on the outside and warm all through, mellow, meaty and delicious. The worm was served up sliced into pieces and to my delight the pieces were still moving independently. It tasted pretty good too. The texture was much lighter and more delicate than fleshy, chewy sea cucumber. Loved that fish market. There were thousands of people but I was the only weiguk. I found this at a regular corner store where I was living in a suburb in the Seoul area in 2009. 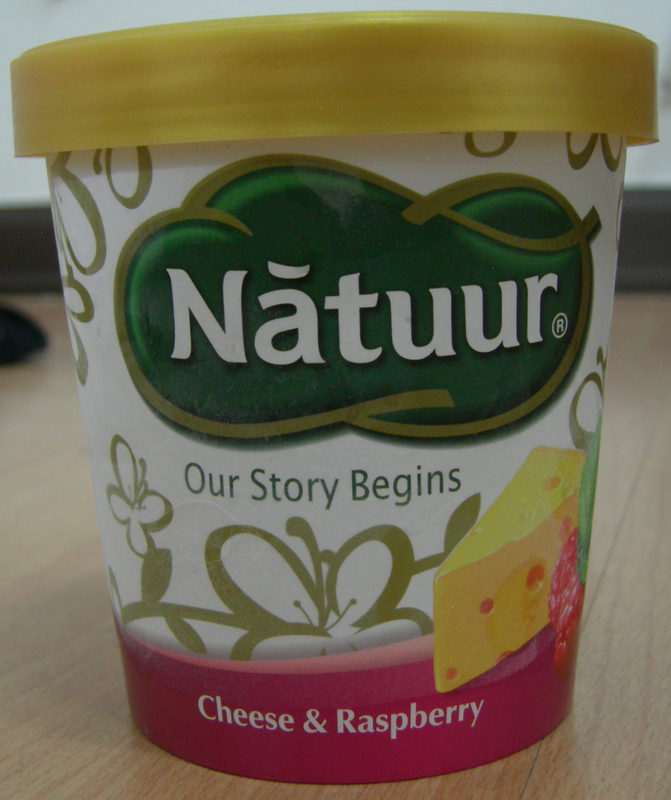 It actually didn’t taste that cheesy which is just as well since Asians typically aren’t fans of that kind of flavor. Which begs the question: why in Asia were they marketing a product as being cheese flavored? Cheese can be seen as classy, chic, and Western . (I once saw $6 dollar small boxes of imported Kraft singles strategically located in the wine department in an E-mart). But it is still very much in the process of gaining popular acceptance. As for the slogan, it’s nonsense, but Northeast Asians like the look and sound of certain English words. “Story” seems to be one that’s caught on.